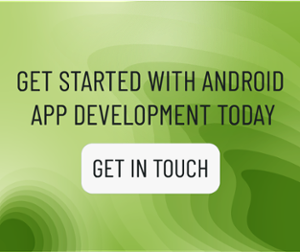 Clearbridge Mobile > Android > Android vs. iOS User Behavior: How Does it Impact Mobile App Development? Android vs. iOS User Behavior: How Does it Impact Mobile App Development? How well do you know your target users? What types of apps are they likely to download? What is their willingness to pay for apps and make in-app purchases? The answer to these questions will vary depending on which mobile OS your users prefer. 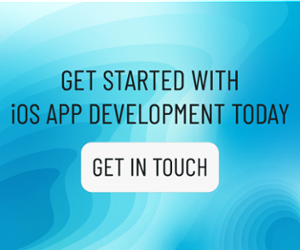 Understanding how behaviors differ between Android and iOS users will help you to identify which user group is the most suitable for your product and business goals, and ultimately help you choose which platform is right for your mobile app development project. By looking at your users’ choice of smartphone, you already gain some useful knowledge from statistical data alone. For example, iOS users typically have a higher income and more education than Android users. This information in itself may influence your decisions about the product’s monetization strategy. If your monetization strategy relies heavily on in-app purchases, an iOS app may be the most profitable platform; however, if you plan to monetize through ad placements, Android might be your best choice. Remember, the primary objective of any mobile app is to provide users with a solution to a specific problem they collectively face. If you don’t have a solid understanding of how user behavior changes between OSs, you’ll find it difficult to develop an app that addresses the specific needs of your target user group. Do you need help transforming your business strategy into a product strategy? Are you sure you’re making the right platform choice? Talk to one of our mobile experts about how a Design & Discovery Session helps identify which platform your audience is using. Start a conversation. With both Android and iOS accounting for over 97 percent of the mobile market share worldwide, brands that are looking to develop an app will have to seriously consider both platforms, but in most cases, pick one or the other due to project constraints like time and budget. Below are some differences between Android and iOS user behavior to help make choosing a platform easier. Which Platform Should You Choose? There are some key differences between Android and iOS devices that impact the user experience and influence the reasons you might choose one over the other. For example, Apple is known to uphold a strict set of regulations for app submissions to the App Store, whereas Android developers have a lot more freedom when it comes to developing apps and submitting them to the Play Store. While an iOS app may take longer to develop and pass the verification process, a more consistent, secure and intuitive app experience is generally the result – something loyal iOS users praise about the OS. Android users, on the other hand, will vouch for the customizability and freedom their devices allow, which enables them to truly tailor their phone to their needs and desires. Currently, Android holds the largest global market share at over two thirds. This is mainly due to the popularity of the Android OS among lower-income and developing countries. iOS, on the other hand, is more prominent in North America, UK, and Japan among those with higher income levels, and education. Studies also suggest that iOS users generally have higher app engagement and tend to spend more money per app. A survey by Slickdeals points out that iOS users make an annual income of $53,231 USD compared to $37,040 USD for Android users. The survey also shows that iOS users tend to spend more, particularly on items relating to self-image such as clothing and cosmetics. This can relate to the fact that iOS devices are slightly more popular amongst women and Android devices are slightly more popular amongst men. In a 2018 mobile gaming apps report by Liftoff, the data shows that in-app purchase conversion rates for women were 26 percent higher than for men. Insights on location, income, and purchasing decisions can directly impact engagement actions like in-app purchases and subscription enrollment, which you should consider when planning your monetization strategy. These demographic differences also have influence over which types of apps a user is likely to download altogether. Figuring out how each OS user is likely to pay for an app or pay for in-app purchases is critical. While global app revenue grew by 23 percent in 2018, there is indeed a gap between how much an Android user will spend on an app and how much an iOS user will spend on an app. The typical iOS user is also more likely to spend more on clothing and cosmetics than their Android counterparts which reflects on the types of apps they prefer. These insights are very valuable to brands looking to develop retail apps or generate revenue from paid apps. In contrast, Android apps rely on mobile advertising as the main source of revenue. Android and iOS users tend to use their devices in terms of viewing and engaging with content very differently. iOS users earn themselves the title of “power users” due to simply engaging with more content on their devices for a longer period of time. According to a survey by Slickdeals, iOS users on average spend 4 hours and 54 minutes per day on their phone, whereas Android users spend 3 hours and 42 minutes. iOS users also have a faster open speed when it comes to notifications. According to a report by Leanplum, Android users take an average of 48 minutes to open notifications while iOS users take roughly seven minutes. With that said, Android does have a greater number of media users and a larger audience. Android users tend to prefer utility, performance, productivity, and anti-virus apps. Android users are five times more likely to spend money than iOS users on apps that fall into any of those categories. When deciding what platform is best for your mobile app, a key question to ask is: what is the goal and purpose of your application? Is the sheer volume of users the main identifier of success for your app, or is your focus on driving engagement? Choosing the appropriate platform will depend on the goal you’re trying to achieve and how you plan to monetize your mobile app. The perfect scenario would be to develop your app for both Android and iOS to attain the widest and most diverse user base; however, this is not always feasible. While each platform offers unique advantages and characteristics, understanding the differences between the users of each OS can help you make informed decisions about where to focus your efforts to achieve the most business value.